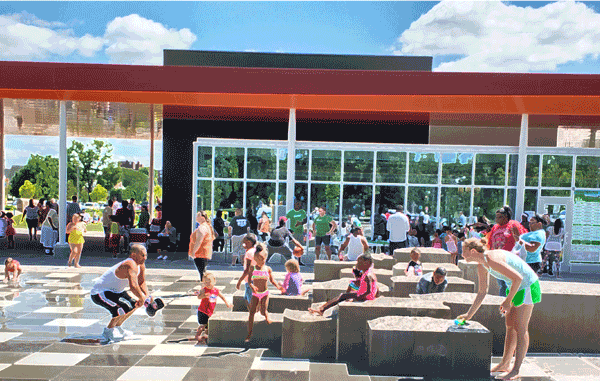 City parks are tremendous community assets; places where neighbors of all ages and from all walks of life can come together to enjoy a shared public space. Parks need ongoing care, attention, programming, and maintenance. And while Indy Parks staff does an admirable job, insufficient tax revenues limits what the department can do. The Midtown community recently rallied support for a $6 million investment in Phase 1 of Tarkington Park’s master plan. To help make sure that investment is secure, community organizations like Midtown Indy, Indianapolis Parks Foundation, the MLK Center, and Mapleton-Fall Creek Development Corporation have joined together and are collaborating with Indy Parks to activate Tarkington Park with a year’s worth of programs and activities. That requires funding. You can help the groups raise $50,000 by donating to the Community Thrives online grant program. If you act now, your donation will be matched by Butler University which has agreed to match every dollar donated through the online fundraising portal up to $35,000! If you agree that Tarkington Park is too important to ignore please don’t let this opportunity pass.